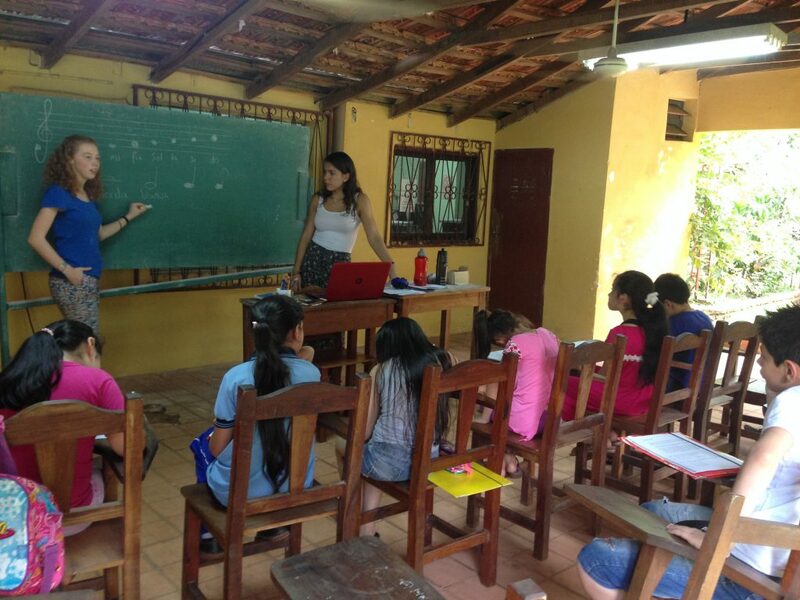 Two of our current volunteers, Miriam and Alexia, are teaching Music Theory to our violin and harp students. They are well qualified having both done the ABRSM Grade 5 Music Theory Exam, with Alexia being a pianist and Miriam playing both the piano and French horn. This will be an invaluable base for our budding musicians in Santa Maria in a country where many musicians never learn to read music.